Here’s an activity for all the dinosaur-loving kids out there. These paper plate-a-sauruses are based on the real species and all feature a colourful paper plate body with a paper cut-out head, legs and tail. 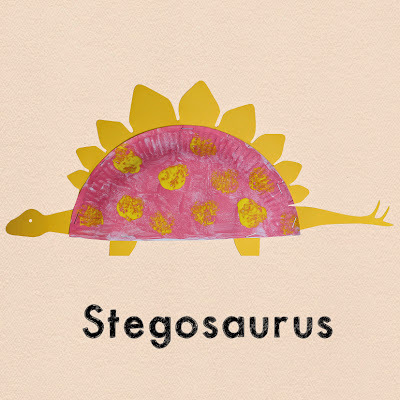 They can help kids learn the real names of the dinosaurs and also have a fun, messy art and craft element to them. 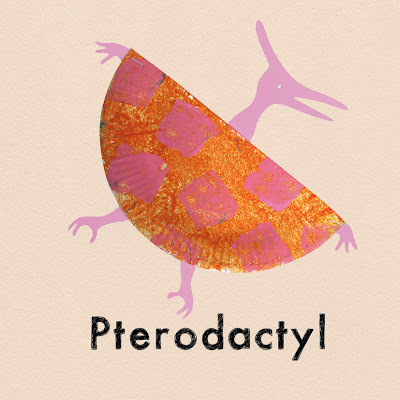 My friend’s 5 year old boy tested this idea out for me and absolutely LOVED the dinosaurs he made (a T-rex and a Stegosaurus), and suggested next time we could make a Pterodactyl and a Diplodocus. 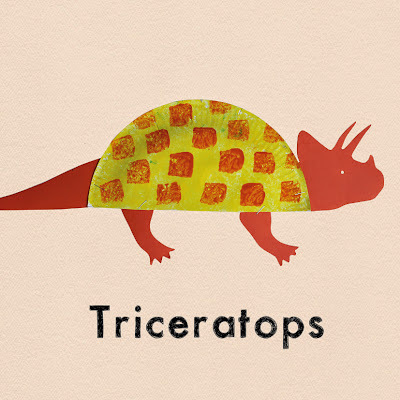 I’ve gone one better and created a Triceratops as well, so you have 5 dinosaur templates to choose from that you can make with your kids. My girls had fun making these too. 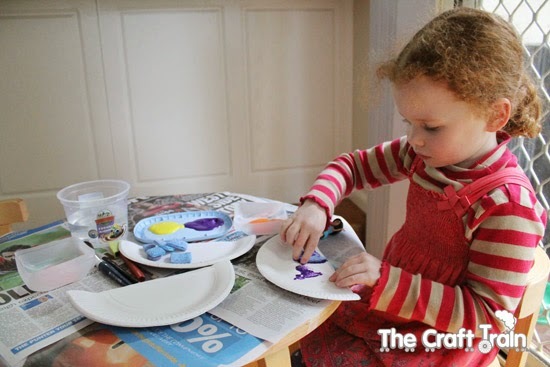 Cut some paper plates in half and decorate them. 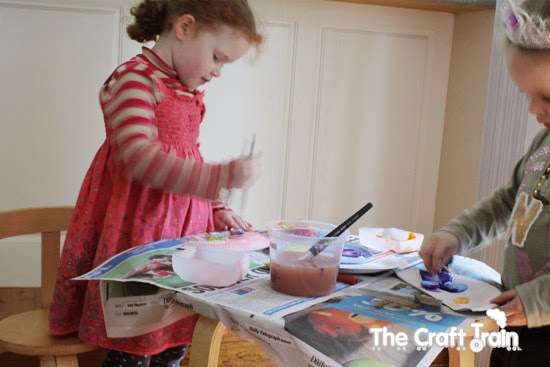 We used paints but for a less messy option try pencils, textas, crayons or stickers. 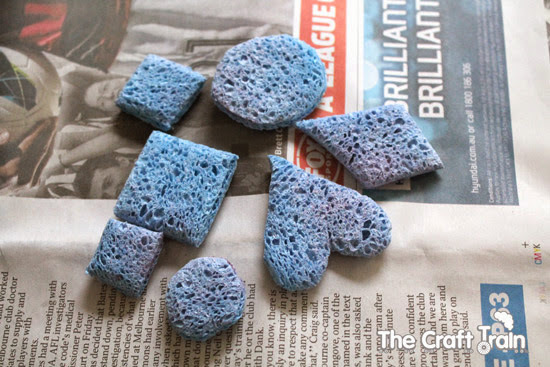 My kids loved stamping patterns with these sponge stamps, made by cutting simple shapes from a kitchen sponge. 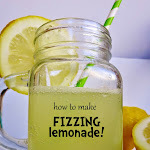 They are sooo quick and easy to make. 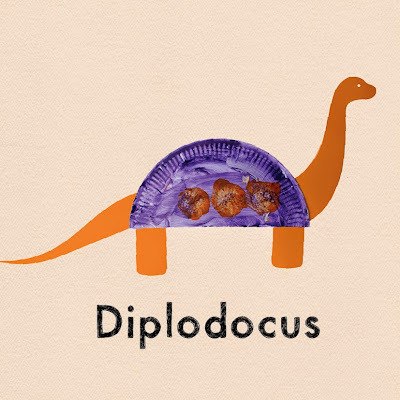 Most of the templates work best by painting the back of the paper plate, but for the Pterodactyl the front side works best. 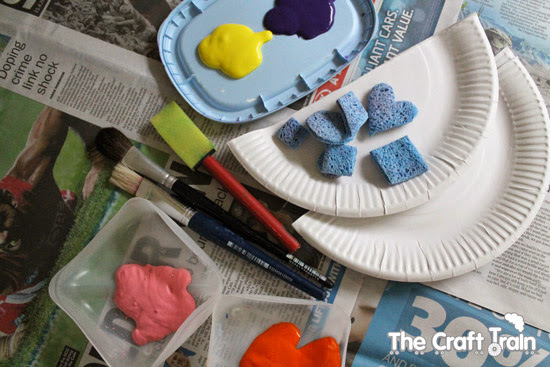 Leave the painted plate art to dry for an hour or two. 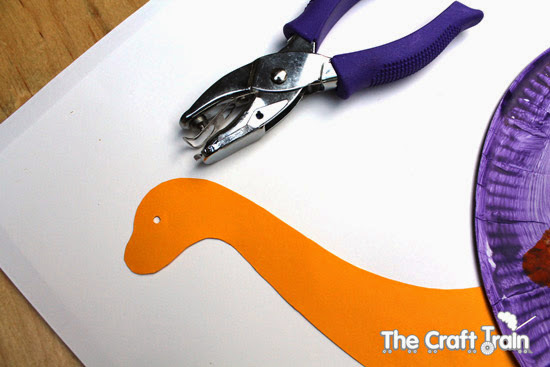 Whilst they are drying you can cut out the paper dinosaur shapes from the templates below. 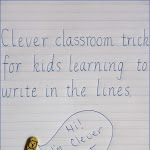 For best results print them straight on to the heavy coloured paper stock. 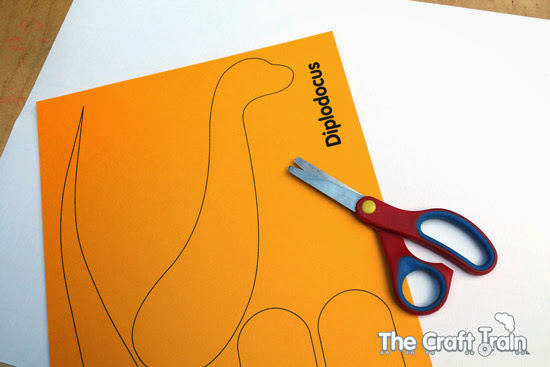 The Diplodocus is the easiest shape for little hands to cut out if you want your kids to do the cutting. 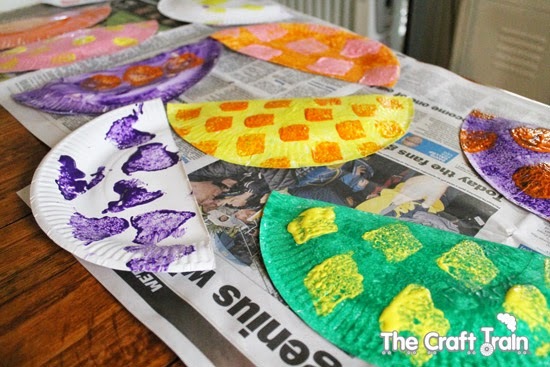 The other templates are quite intricate and you will probably need to cut them out yourself. 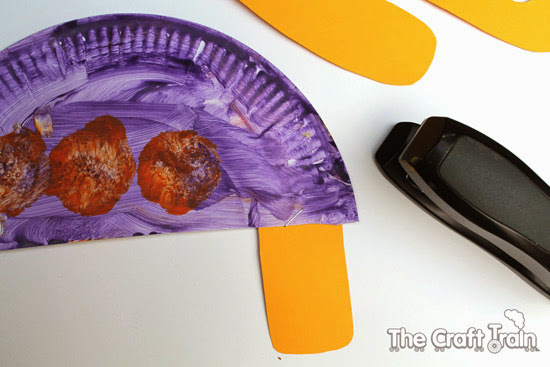 Once you have cut out the paper shapes staple them on to your dry paper plate. 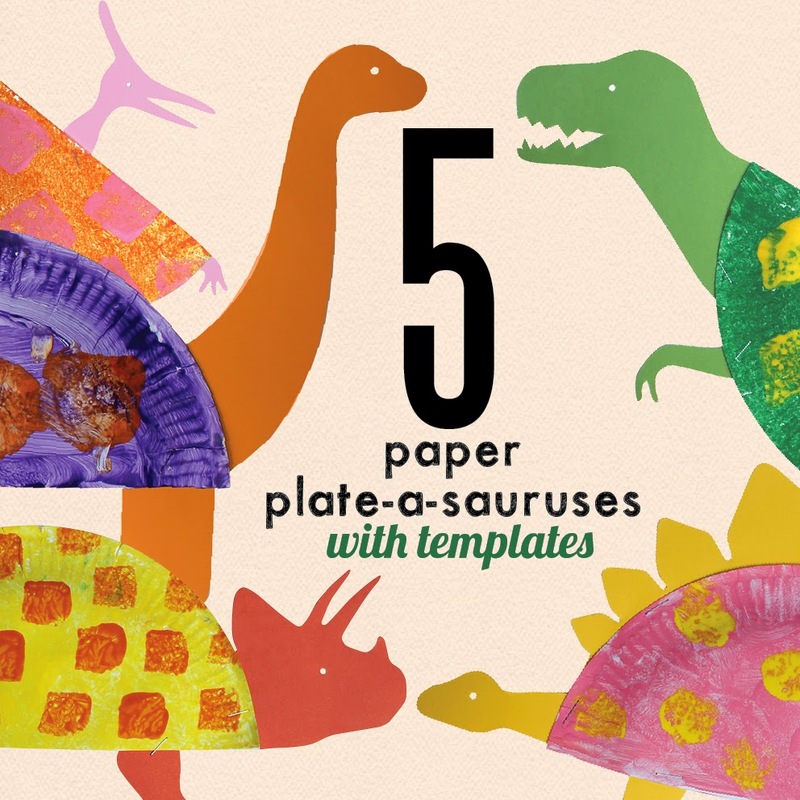 These templates are designed to fit a standard dinner sized paper plate. They will open in a Google Doc. Click on "File" in the top left and then choose "Download" from the drop down menu. Save to your computer and print out as needed. Enjoy! 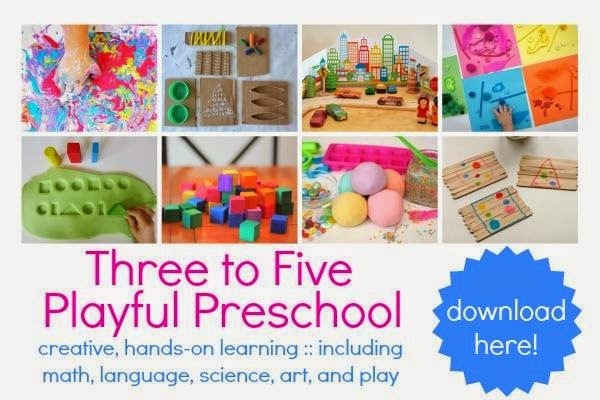 Thanks for reading my guest post on the fabulous Learn With Play at Home. 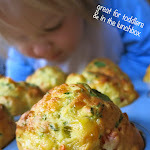 Kate Grono is a talented, crafty, graphic designing, art directing, busy mum of 2! OMG how cute are these??? Love them! Pinned! So cute!! The Pterodactyl is my favourite. 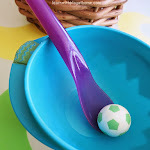 Really excited to make these with my three yr old. He is excited to make the T-Rex. Thank you! hi i just tried to print the templates and it opened a new window but nothing was there. I love it! Thanks so much for this. I'm a children's librarian and I'm excited to use this as our dinosaru-themed storytime craft this week. 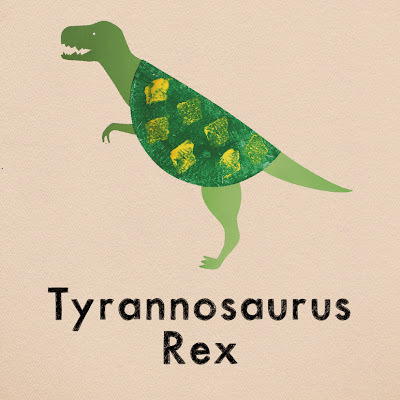 We are starting our homeschool year with a dinosaur unit. Thanks for sharing! These are so cute. I think we will start by making some of these.